A recent change was made to the sales warehouse in our Daybrook branch, with the relocation of our clothing room, to a space three times the size. 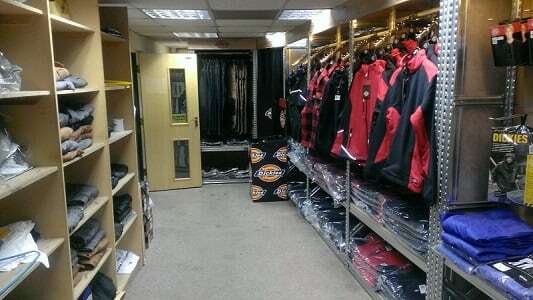 Designed and constructed in conjunction with Dickies, it carries an extensive range of their products, but also clothing and footwear from Snickers and Buckler, with our other ranges of PPE work wear. A fitting area is also included for customers to try on items in private.